Most common .ogg files are audio files, and we often get very troubled when we have .ogg video files, because only a handful of media servers can play this video file. In this article, I will guide you convert .ogg to MP4 format with ease, now, free download the recommended OGG file converter to get started. Why Do We Need to Convert OGG to MP4? In general, when we mentioned the .ogg file, our first reaction is that it is an audio file similar to MP3 audio format. In fact, OGG can multiplex a number of independent streams for audio, video, text (such as subtitles), and metadata. Therefore, many friends will find doubts about "why my mobile phone or computer can't play .ogg files". That's because the .ogg video format is very poorly compatible and can only be played or edited on very few media devices. This is why this article teaches you how to convert OGG video files to a popular video format such as MP4. Then follow this article to get two simple and practical ways to convert .ogg files. 1. Convert OGG video files to MP4, AVI, MKV, MOV, etc. 2. Customize output video parameters for almost all of the devices. 3. 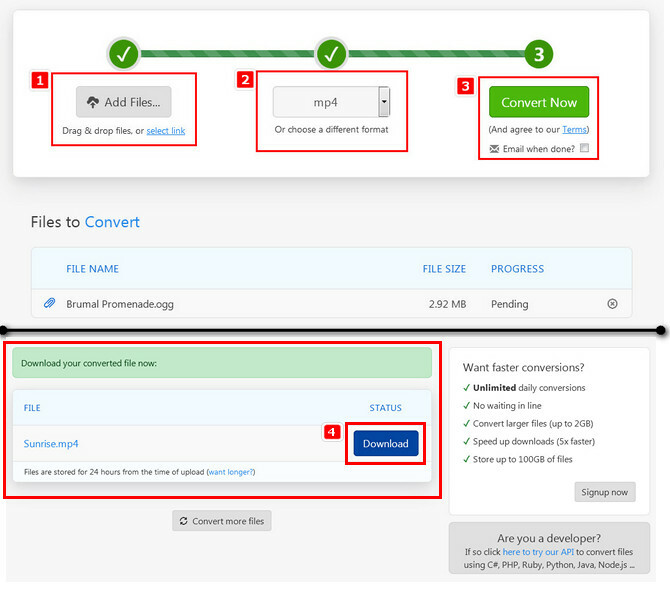 50X faster conversion speed than any other similar converters. Now, free download this OGG file converter to get started! In order to convert .ogg to .mp4 video format, an easy-to-use video converter is essential. 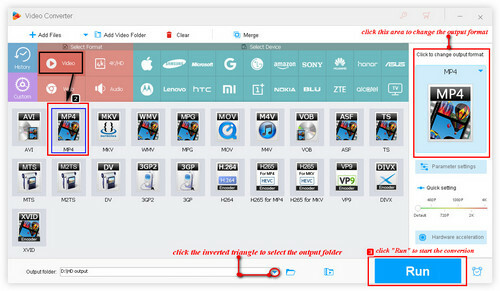 Here, WonderFox HD Video Converter Factory Pro is highly recommended. First, it can convert OGG video files to MP4, MKV, MOV, AVI and other popular video formats without any pressure. Second, it can convert 0GG to MP3, AC3, AAC and other popular audio formats as well as popular devices like iPhone, iPad, Android phone, etc. Now, free downloadfree download this full-featured OGG video converter to start work! Free downloadFree download, install and launch WonderFox OGG file converter on your PC. For converting .ogg to MP4 video format, firstly, you need to click on “Add Files” and select the local .ogg video files to the program. Alternatively, directly drag and drop can import your OGG files too. Next, click on “Output Format” section on the right side of the interface. As you can see, this software provides varied audio & video formats and device lists. For converting OGG file to MP4, we should click on “MP4” pic under “Video” tab. Finally, select the destination folder and give a desired filename. Once everything is at place press the “RUN” button. Sometimes, online converters can also be a powerful OGG to MP4 converter online that can convert .ogg files without effortlessly. Zamzar is a good free video converter that supports lots of file formats. It's easy to use and lets us convert .ogg files online without having to download any software. Next, let's take a look at how to convert OGG files to MP4 with Zamzar. Step 1: For converting .ogg to MP4 on Zamzar, firstly, please visit https://www.zamzar.com/convert/ogg-to-mp4/. Step 2: Select your local .ogg files into the box by clicking on “Choose Files”. Then, choose “MP4” as the output format. Step 3: Enter your email address to receive converted files and finally, click “Convert” button to transfer OGG video to MP4 format. 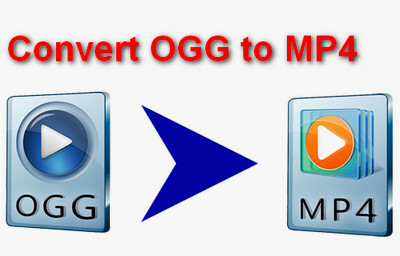 So far, you have obtained two of the easiest and most convenient ways to convert OGG video to MP4 format. Compared to the WonderFox HD Video Converter Factory Pro, online conversion will limit the size of the uploaded file, and the conversion speed will also receive the speed limit. Therefore, I recommend using the WonderFox HD Video Converter Factory Pro to convert our .ogg file. Finally, you can download this software here to enjoy more features. 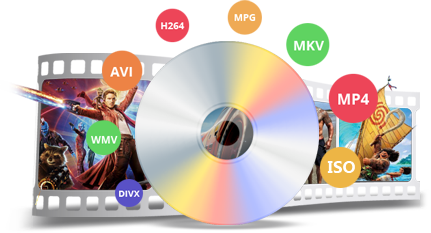 Convert DVD Movie to MP4, AVI, MKV, etc. Are you still suffering from piles of DVD collections in your home? It’s a pity that these DVDs are thrown away. Stacking them at home will take up too many places, so why not rip them into digital videos? 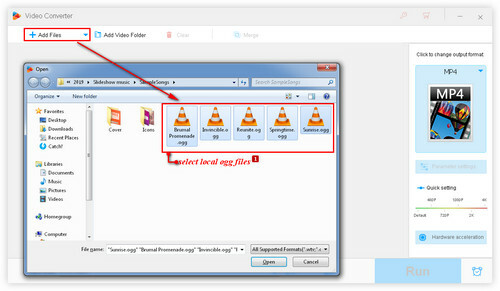 WonderFox DVD Ripper Pro can convert DVD movie to MP4, AVI, MKV, MOV, and more hot video formats. Just have a try!